NIGERIAN Army Peacekeeping Centre (NAPKPC) and European Union (EU), yesterday trained 100 non-commission officers, 50 officers drawn from Police, Navy, DSS and Army, and 38 civilians in live exercise to build their capacity aimed at enhancing corporation between civilian and military during combat operations in any part of the country. ACTING Commandant of NAPKPC, Brigadier-General Adamu Dauda, said the training, which was held between 8th-12th Feb 2016, got to climax with assessment of platoons by both Nigerian and European senior military officers. 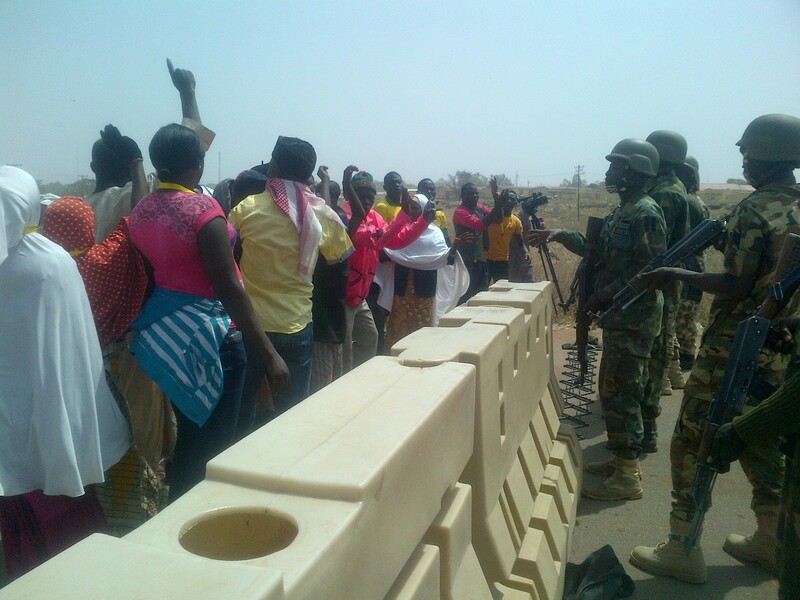 BRI-GEN. Adamu further stated that Junior level commanders in Army, Navy, DSS and police were tutored on how to interact with the locals during operations, adding that the NAPKPC has been observing the operation since 2014. ‎”I am indeed very grateful that the aims of the exercise has been achieved, even there were challenges when we started, but at the end of the exercise they Were able to interact absolutely well with every member of the community. “THEY also conduct themselves to scenerios that were painted to test their ingenuity in bringing out great ideas on how to solve unexpected situations in the field. ‎”THE Office of the National Security Adviser (‎NSA) Organised this exercise to train members of the arm forces and the paramilitaries agencies towards observing human rights in their obligations to the civil populace and our civil military cooperation,” he added. LEADER of the ‎European Union team, Colonel Marc Hunbert, said the EU is bringing experience gained from theatres of operations all around the world in Civil-Military cooperation to Nigeria and other African countries where crime rate is on the increase. “WE found out that this relations is very important to the conflicts especially now, we no longer have wars between armies but with insurgency groups, terrorists etc. “SO it is very difficult to wage war ‎in this situation because it is in the middle of the population and respecting human rights in this case is very important” he said.